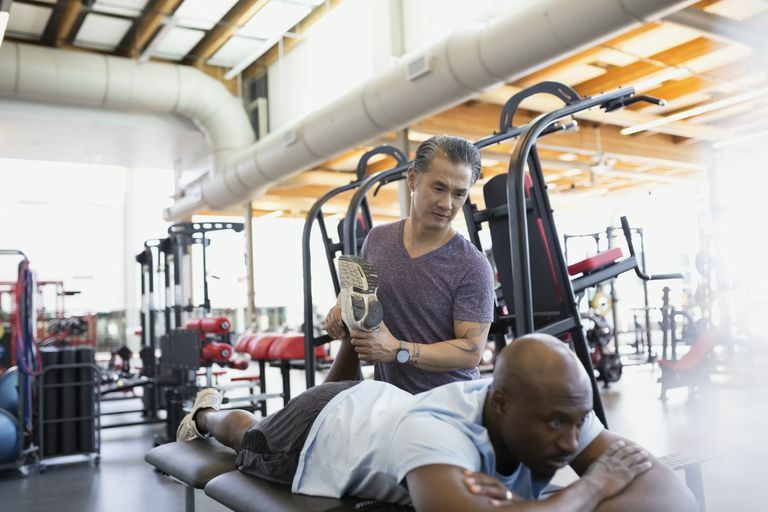 When you have an injury or injury that results in pain, loss of range of motion (ROM) or strength, you may need the skilled services of a physical therapist. Your physician may prescribe physical therapy, but many states allow direct access to a physical therapist with no referral. If you have a problem that requires a physical therapist, there are many ways of finding one. Finding the best physical therapist for your condition is an important first step in returning to your previous level of functional mobility. The right PT can help motivate you, and he or she can ensure that you do the right things to get back to your optimal level of mobility. Ask your physician. Many doctors have relationships with specialists and are able to recommend a physical therapist. Often times, your doctor may know which physical therapist would be best suited to assess and treat your specific condition. Go online. Many physical therapy clinics have websites that outline the services they offer, their hours and location, and what to expect during your therapy session. These websites often have links to copies of the required paperwork to be completed prior to your visit so you can have them ready on the day of your evaluation. Check the Yellow Pages. Physical therapy clinics are listed in the phone book under the heading "Physical Therapists." Many list their hours, location, and what insurance carriers they participate with. Call your local hospital. Hospitals often have a dedicated outpatient physical therapy clinic onsite. Telephone the hospital's main switchboard and ask to be connected to the physical therapy or rehabilitation department. Ask a friend. You may be surprised how many people have gone to a physical therapist for a specific injury or condition. Ask a friend or family member if he or she has visited a physical therapist and what their experience was like. The information you receive will usually be very valuable and unbiased, and will likely touch upon the professional relationship that often develops between therapists and their patients. Pediatrics: Pediatric physical therapists have special training to work with children with developmental delays or other problems that may limit functional mobility. These therapists typically work in schools or in children's homes to provide care. You usually locate a pediatric physical therapist at your local school or through your local department of education. Home care: When a patient has a problem with mobility and is unable to leave the house due to illness or lack of appropriate transportation, a physical therapist may come to the home for evaluation or treatment. These specialists are located through a local visiting nurses association. Back pain: Some physical therapists have specialized training in the care of low back and neck pain. These therapists typically work in outpatient clinics. An international organization of therapists and other practitioners who specialize in low back and neck pain is McKenzie International. Hands: Some physical and occupational therapists hold a certification in hand therapy. These therapists are specialists in the treatment of the hand and wrist after injury or surgery. They typically work in outpatient clinics or hospitals. There are other physical therapy specialists available, which you can view on the APTA website above. Finally, don't be afraid to ask questions when looking for a physical therapist. Make sure you feel comfortable with the person providing the physical therapy service. By feeling at ease, the process of returning to optimal health and wellness will be a smooth one.